Flying the flag for your company or event. Banner flags are ideal for forecourts, shopping malls, exhibition and anything requiring a high impact display. The full system takes around 8 minutes to assemble and are a great way to grab attention from a distance. 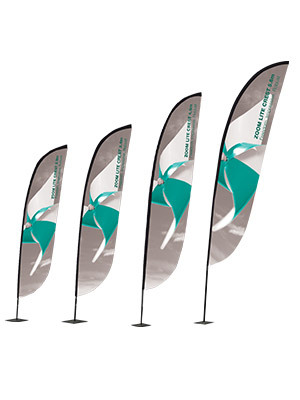 We can supply the hardware – the pole or the stand – individually or with the printed flag kit. 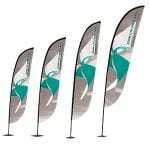 We can also supply replacement flags if you use them for multiple events.